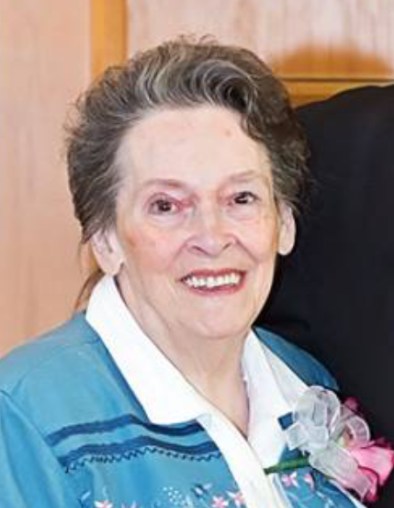 Obituary for Patricia R. (McCarthy) Jackson | Sorge Funeral Home Inc.
Patricia R. (McCarthy) Jackson, 82, Blue Knob, passed away Tuesday at Maybrook Hills Re­ha­bil­i­ta­tion and Healthcare Center. She was born in Carson Valley, daughter of the late Edward and Elizabeth (Wineland) McCarthy. She married Philip R. Jackson in 1954, and he preceded her in death in 1997. Surviving are a daughter, Diana L. Frampton and husband, James, in Florida; five sons: Philip R. Jr. and wife, Linda, John W. and wife, Connie, Richard A. and wife, Brenda, and Ronald K. and wife, Star, all of Blue Knob, and Michael T. and wife, Judy in Florida; 15 grandchildren; many great-grandchildren; a sister, Helen Shultz of Altoona; and two brothers: Michael of Pittsburgh and John in Georgia. She was preceded in death by a sister; and eight brothers. Patricia was a home health aide. She was a member of Mount Sinai Church in Blue Knob. She also was a member of the Blair Christian Singles Group and the Blair Senior Chorus. She enjoyed baking wedding cakes since 1977. Friends will be received from 11 a.m. to 1 p.m. Friday, Jan. 25, 2019, at Mount Sinai Church, Blue Knob, where a funeral service will be held at 1 p.m. Friday. Interment will be at Mount Sinai Cemetery. Arrangements are by Sorge Funeral Home Inc., Hollidaysburg.